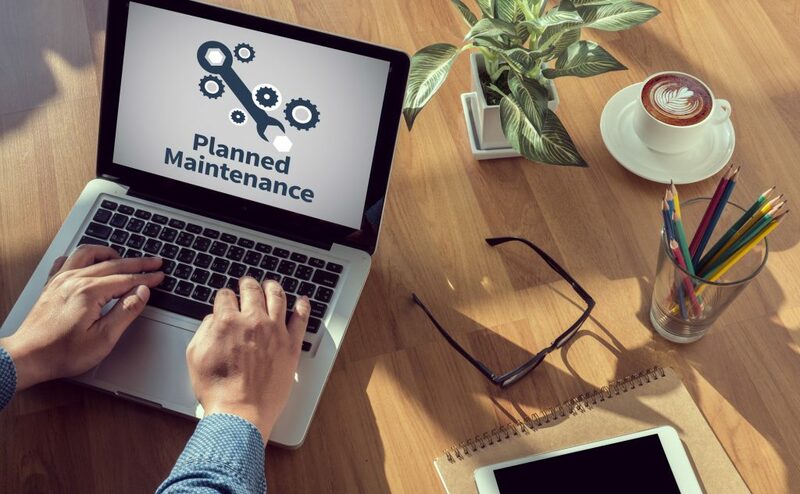 Why Is Website Maintenance So Importance? Find Out Here! | Host.ie - Linux Hosting packages for all your Irish web hosting needs. It’s no surprise that pretty much every business needs a website to succeed these days. It’s now crucial to make the most of the digital marketplace and everything it has to offer businesses. Statistics, in fact, show there are now over 200 million websites on the entire Internet. You can search and search without ever seeing every single one. It’s clear if you want your business to stand out, you need to invest some time and effort into your website. That investment, though, will be worth it in the long run for your business. Don’t get left behind in the game of website development. Here are the reasons high-quality website maintenance is so crucial. Make sure you don’t underestimate the value of a high-quality website for your business. The gains in profit you’ll experience are worth any cost. Great websites are the key to success in the modern world of business. You might be wondering how on earth you could keep up with the high expectations of today’s online users. The good news is that you have come to the right place by reading this article. Website maintenance is worth the investment of your time and energy to research the best strategies. That’s why you should seriously consider outsourcing your website maintenance to a qualified web services provider. You deserve to hire someone you can trust to maintain an optimised website at all times. Sure, there’s an upfront cost, but the long-term savings are definitely worth your investment. The thing about proper website service providers is that they truly understand their industry. Don’t hire a solution provider who doesn’t seem savvy on all the latest website development trends. In time, you’ll discover the real benefits of hiring a professional team dedicated to making the most of your website’s online presence. That means they need to prove their worth. For example, if they have a well-developed blog on their own site, you can trust that provider knows the ins and outs of the industry. When you start interacting with a potential website service provider, don’t be afraid to ask plenty of questions. Make sure you feel comfortable with their ability and competence. As mentioned above, there is a lot to navigate when it comes to proper website maintenance. That’s why it can be such a relief to hire professionals to host and maintain your business’s site for you. Sure, it can be easy to set up your small business’s initial website. You might only want to use it for contact information and displaying your products or services. Still, there’s more to maintaining a high-quality website than just choosing a great domain name. Technology and the Internet are forever growing and changing. You need a website that can keep up with both the growth of society and of your own operational needs. You never know when you’ll grow to the point of needing a more complex, layered website. At first, your business might only be running a simple website. It won’t have a lot of sensitive information that can be damaging if lost or stolen. After some time, though, it’s likely that your website will develop into a more substantial tool for your business. For example, you could start running transaction orders through your website. When users purchase products or services through your site, they need to trust that their financial information is secure. Plus, you need to trust that malicious users can’t cheat you of any profit. The more you use your website for your business, the more you’ll need to protect it. That’s one reason website maintenance can make or break the success of your business as a whole. Don’t forget that your website can also be directly connected to your digital marketing strategies. In fact, most of them are going to directly point to that site in one way or another. Your business’s website is essentially your digital business card. Think about how social media can point back to your website. Every time you post about a blog update or online product, social media followers could click the link to your site. What are they going to find when they get there? The truth is that there are now almost 3.2 billion social media users online. That’s a large potential consumer base. Make sure your digital marketing strategies are supported by a high-quality, well-maintained website. Speaking of a well-maintained website, remember that technology is always changing. It doesn’t matter what platform or software you use. You’re going to need to keep it updated. That’s where a qualified website services provider can really help you out. They will be able to stay more focused on all of the updates your website will rely on to function. Don’t fret about tracking when any of your software services expire, either. A proper website maintenance includes the regular incorporation of the best and newest hardware and software. A poorly maintained website can be more than just an unsuccessful brand promotion. It can lead to damaging costs to your business. Your website, in one way or another, holds a part of your business’s identity in its hands. If your website is unprotected, there are all kinds of cybersecurity threats that can cause your business long-term harm. Don’t short your business when it comes to cybersecurity threats. You and your online users deserve to know that everything transacting through your website is secure. Since modern business relies so much on Internet connectivity, websites can be judged harshly. If a business has a boring, slow-loading website, customers simply won’t retain interest. Having a positive website experience is important to online users. Statistics show that 58% of American consumers research a brand online before buying a product or service. This online research is all going to trace back to your website in some way. If you don’t keep it maintained well, your sales are going to suffer. People might even post about a low-quality website in an online review. There’s no telling how damaging to your business’s reputation a poor website can be. Loyalty to your business’s brand is essential to long-term success. Inspire your website visitors to appreciate your online presence. Over time, they’ll turn to your products or services by instinct. At the end of the day, you are likely most concerned with your business’s bottom line. Overall productivity is your ultimate concern. The best part about hiring website services to maintain your website is the flexibility it provides you. Instead of fretting over how to optimise your website for customer engagement, you can focus on your many other responsibilities. Plus, your employees will be free to focus on their tasks, too. All in all, outsourcing website maintenance might be the best increase in productivity your business will experience in a long time. You’ve probably heard about search engine optimisation (SEO). You’re aware that search engines like Google and Yahoo “rank” websites according to usefulness and relatability. When a user enters a search on these engines, websites are “ranked” behind the scenes and sorted as results accordingly. Part of successful SEO is the quality of the website itself. If users tend to only visit a certain site for a couple of seconds before continuing their search, the search engine notices. Only websites that attract and maintain online engagement will get listed at the beginning of that list. In other words, your website’s functionality directly affects whether or not online users can actually find your business. When they are searching for the products or services you provide, are they going to find your business? Have enough other online users engaged with your site enough for it to actually matter? At this point in the article, you should have a clear idea of the benefits of proper website maintenance. You know how important it is to keep your business’s website functional and engaging at all times. You deserve to make the most of all the digital marketplace has to offer your business. To ensure your business’s website is operating at its highest level, you need to outsource web hosting and maintenance to someone you trust. That’s where we come into play. We want to help you stay ahead of the game of website development. We encourage you to start by researching our hosting support plans today. In no time, you’ll find that your website is finally doing everything it can to help your business thrive.